Cisco - CISCO1941/K9 CISCO - (CISCO1941-K9) 1941 W/2 GE-2 EHWIC SLOTS-256MB CF-512MB DRAM-IP BASE 2U - EXTERNAL. NEW RETAIL. IN STOCK.SHIP SAME DAY. 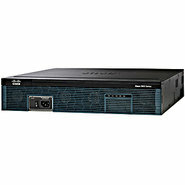 Cisco - CISCO2921/K9 CISCO2921 K9 Cisco 2921 w 3 GE4 EHWIC3DSP 1 SM256MB CF512MB DRAMIPB. New Factory Sealed. 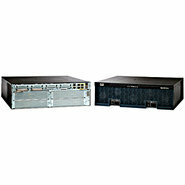 Cisco - CISCO2911-DC/K9 CISCO2911-DC K9 Cisco 2911 router w 3 GE4 EHWIC2 DSP1 SM256MB CF512MB DRAMIPB DC-power supply. New Factory Sealed. 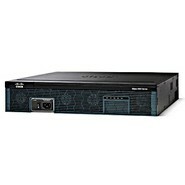 Cisco - CISCO2951/K9 CISCO2951 K9 Cisco 2951 w 3 GE4 EHWIC3 DSP2 SM256MB CF512MB DRAMIPB. New Factory Sealed. Cisco - CON-SUO1-2951 CON-SUO1-2951 Cisco SMARTnet for Cisco 2951 w 3 GE4 EHWIC3 DSP2 SM256MB CF512MB DRAMIPB. New Factory Sealed. 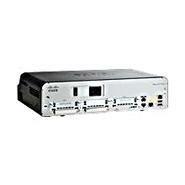 Cisco - CON-OSE-C2951AX9 CON-OSE-C2951AX9 Cisco ONSITE 8X5X4 Cisco 2951 w 3 GE4 EHWIC2 SM256MB CF. New Factory Sealed. Cisco - CON-S2P-2951 CON-S2P-2951 Cisco SMARTnet for Cisco 2951 w 3 GE4 EHWIC3 DSP2 SM256MB CF512MB DRAMIPB. New Factory Sealed. Cisco - CISCO2921/K9 CISCO - (CISCO2921/) K92921 W/3 GE 4 EHWIC 3 DSP 1 SM 256MB CF 512MB DRAM IPB.NEW FACTORY SEALED.IN STOCK.SHIP SAME DAY. Cisco - CISCO2951/K9 CISCO - (CISCO2951/K9)2951 W/3 GE 4 EHWIC 3 DSP 2 SM 256MB CF 512MB DRAM IPBASE.NEW FACTORY SEALED.IN STOCK.SHIP SAME DAY. Cisco - CISCO3945/K9 CISCO - (CISCO3945/K9) 3945 ISR W/3 GE 4 EHWIC 4 DSP 4 SM 256MB CF 1GB DRAM IPB.NEW FACTORY SEALED.IN STOCK.SHIP SAME DAY.